We will soon know if that space would be restored by the Court’s ruling on the dissolution matter that is now before it. Valliant advocacy efforts are being made to lose sight of the constitutional forest by interpretively magnifying a few self-serving and half-grown trees. President Sirisena is playing a desperate game of bluff and brinkmanship. He is bluffing when he gives deadlines to resolve the current state of legal non-government and the standoff between himself and the legislature. And he is daring the UNP to dump Ranil Wickremesinghe as party leader. Anyone of the 225 legislators other than Ranil Wickremesinghe is acceptable to him as Prime Minister, but not Ranil Wickremesinghe even if he were to demonstrate unanimous support in parliament. The brazenness of this unconstitutional assertion has shocked even those who genuinely want Ranil Wickremesinghe to make way for a new UNP face in national politics. Even among non-UNPers there is a feeling that Sirisena deserves to be impeached. The JVP has said as much. Who would have thought that the least feudally ranked among modern Lanka’s elected political leaders would turn out to be the worst embodiment of crassly native intransigence in the exercise of power? Many of us applauded the rise of Sirisena as the common presidential candidate in November 2014 and his convincing election victory in January 2015. We called it a sign of Sri Lanka’s egalitarian maturity and a sign of the generous space for democratic mobility within the Sinhalese political society. The President has now insulted and injured everyone who supported him to win the election, and is now relying on the corrupt support of everyone who massively insulted him as a candidate and wanted to injure him politically and otherwise. The mutuality of shamelessness is what binds those who are now insisting on the premature dissolution of parliament to cover up the mess they unnecessarily created. Perhaps it should not be surprising that President Sirisena has still not realized that his insistent hatred for Ranil Wickremesinghe has only helped the latter to solidify his support within the UNP. This should have been quite apparent after the No Confidence Motion fiasco in June. But the President has learnt nothing from it and still thinks he can break up the UNP as payback for RW’s machinations to keep the SLFP divided between the Rajapaksa and the Sirisena factions. In the end, Sirisena has only helped to energize the UNP base for the first time under Ranil Wickremesinghe’s leadership. Cynical and sinister machinations always backfire in electoral politics. Both Wickremesinghe and Sirisena should have learnt that lesson after their debacles in the February LG elections. But they have not. It is the continuing cat and mouse game between the two that provoked Sirisena to fly off the handle and precipitate the current crisis. Mahinda Rajapaksa must be ruing the moment he decided to go along with Sirisena’s harebrained scheme, whatever might have been the urgency to governmentally intervene in the criminal investigations targeting the members of his family. Politically and legally, MR is in a much weaker position than even when he was defeated in the January 2015 presidential election. The President’s uninformed disregard for the constitution has made quite a few old schoolers to think that he deserves to be impeached. 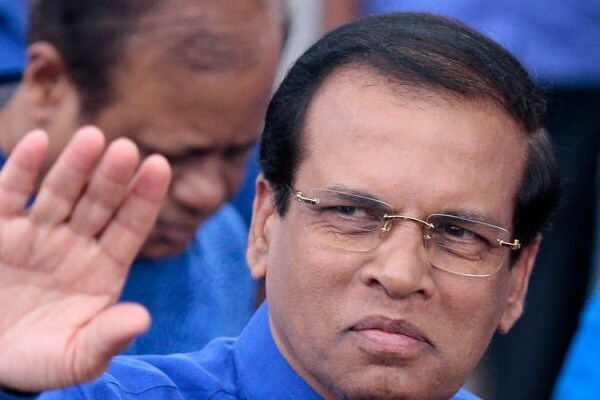 The question, however, is not whether Maithripala Sirisena deserves to be impeached. It is whether the country deserves the avoidable agony of an impeachment process. Political mistakes are better left to be punished by the people in an election rather than involving the institutions of government to adjudicate on them. Starting an impeachment process now will be no less counterproductive than the presidential overreaches to fire a sitting Prime Minister, appoint another without majority support in parliament, and prematurely dissolve parliament to cover up his tracks. In fact, the call for impeachment would be no different from the current calls for immediately dissolving parliament. It is quite remarkable that otherwise (hopefully) responsible people do not think of the unintended consequences when insisting on a certain course of action in politics. The supporters of the Rajapaksas who insist on an immediate election presume that the Mahinda magic will work this time and give them a parliamentary majority. Then everything would be normal, in their scheme of things. What if there is a hung parliament just as there is now? What if they lose? Does the country have to start all over again and replay the current standoff between Sirisena and Wickremesinghe? Equally, impeaching the President, even if it were to be feasible, is not going to find an easy way out of the current deadlock. The President is safe for now because there is no chance of securing the requisite two-thirds majority to pass an impeachment resolution, although an impeachment process could be started with a simple majority. The TNA has given the President the assurance that the TNA MPs will not support the impeachment of the President. That makes it almost impossible to even start an impeachment process unless the UNP-UNF and the JVP combine their votes in parliament. Impeachment could only happen if Sirisena were to sufficiently annoy Mahinda Rajapaksa and the latter decides to strike a friendly deal of the devil with Ranil Wickremesinghe to join forces and throw out the bum of their common nemesis. While that would be high noon drama, it is not going to help this country and its institutions mature politically. Thankfully, the prospects for impeachment are a long shot. The great irony of the current situation is that none of the three central actors deserve to be in their current positions for a day longer. But the country cannot get through the mess they have collectively created without involving them in the cleanup. We are stuck on a vicious triangle of intransigence. The courts have called into question the legality of Mahinda Rajapaksa being Prime Minister. He is abiding by the court’s interim ruling but is appealing the ruling to the Supreme Court. The apex court apparently has no judges to hear the appeal, and Rajapaksa is not willing to vacate his position. He has indicated that it is up to the President to remove him, but left it open whether or not he will accept such dismissal. The President has stopped talking about Mahinda Rajapaksa. No one knows whether they are still talking to one another. The President is only talking about Ranil Wickremesinghe, aside from taking ill-advised pot shots at judges. He is insistent with constitutional ignorance bordering on native arrogance that he will not appoint RW as PM no matter what. For their part, the UNP-UNF forces are digging in and insisting that the only MP in the current parliament with majority support to be PM is Ranil Wickremesinghe. There is also the assertion that this is no time for constitutional compromise but to fight for constitutional principles. No one knows how to operationalize these principles. The Parliament has quite rightly shown the President that he cannot appoint as Prime Minister an MP who does not have majority support. But there is no apparent way for parliament to force the current President to re-appoint Ranil Wickremesinghe as Prime Minister. And Ranil Wickremesinghe has not gone to the Courts to direct the President, because there is apparently no violation of his fundamental rights in not being appointed PM. It seems easier to prove that Mahinda Rajapaksa’s status as Prime Minister is illegal, than to make Sirisena appoint a legal Prime Minister. Perhaps more public pressure on the President, especially red-light warnings from those who are sensitive to market and financial vicissitudes, might have some impact. The President’s brinkmanship is to mount a counter-pressure on Ranil to step down. He would have had some chance of success if he had consistently complained about Ranil Wickremesinghe, directly to the people and over the heads of the MPs. The only reason he did not do go directly to the people is because his hands have not been as clean as he pretends they are, and he was keen to show that he could beat Ranil in his own game. His actions on and since October 26 have just about ruled out that possibility at all. On the other side, Ranil Wickremesinghe is not the spotless constitutional white knight to deliver us from any and all Sirisena-Rajapaksa evil. Politically and electorally, he is better off where he is now than if he were to revert back to his status as PM and a truncated UNP-only government. A reinstated Ranil-as-PM led government will be a recipe for a UNP disaster in the next elections that are likely to take place sooner than they are currently due in August 2020. Mr. Wickremesinghe is quite right in asserting that a parliamentary election could be held only following a resolution by parliament with a two-thirds vote approval. He has thrown the challenge to Mahinda Rajapaksa to bring a resolution to that effect in parliament. In fairness, the question to Mr. Wickremesinghe is why he wouldn’t stroll half-way down the aisle and extend the assurance that the UNP will support such a resolution provided the elections are held under a strictly neutral caretaker government without either MR or RW as caretaker PM. That would be a principled constitutional compromise. The first step in implementing the compromise is of course the reinstatement of Ranil Wickremesinghe as Prime Minister. But the reinstatement must be qualified by the assurance that RW will remain as PM only until parliament passes a resolution with two-thirds majority requesting the President to finally, still prematurely, but consensually dissolve parliament. The resolution itself will be the mother of all deals, stipulating the framework for a caretaker government and the do’s and don’ts to be honoured during the election by all involved in the caretaker government. Unfortunately, there is no Sobitha Thero to mobilize public opinion and force the three political antagonists to reach a principled compromise – to break the current deadlock and dissolve parliament in the proper way and within the framework of the Constitution. The only constitutional citadel left is the judiciary. The Courts cannot and must not do what Sobitha Thero could have done. They can only make sure that there is enough constitutional space for principled compromises to be made without frequently involving the judiciary. It was this precious space that was violated by the President’s overreaching dissolution decree. We will soon know if that space would be restored by the Court’s ruling on the dissolution matter that is now before it. Valliantadvocacy efforts are being made to lose sight of the constitutional forest by interpretively magnifying a few self-serving and half-grown trees. Like patriotism before, it is the notion of sovereignty that is the ultimate refuge of every constitutional scoundrel. But where is the people’s sovereignty without the constitution that enshrines it? When a president violates the constitution, he is alienating the people’s sovereignty. It would be adding injury to insult to allow the president to ask the people to be a party to that violation in the name of their sovereignty.